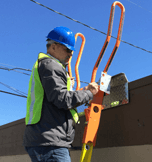 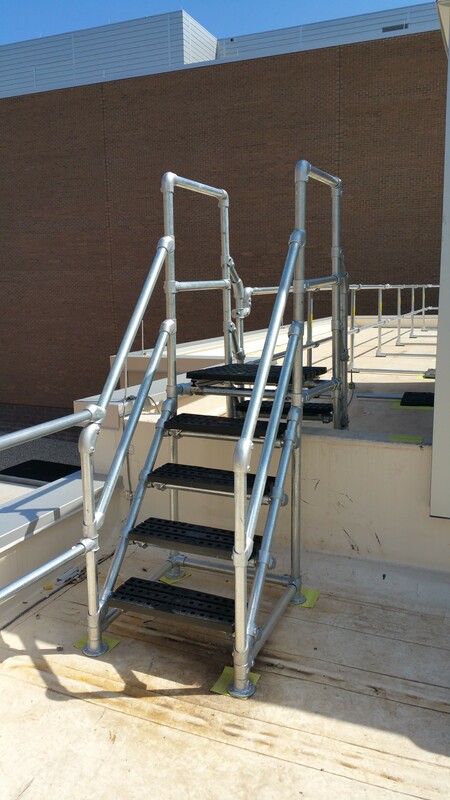 The Ladder Safety Company’s OSHA compliant crossover stairs & modular platforms leverage a unique design that incorporates a common bolt hole pattern to support virtually any structural configuration. 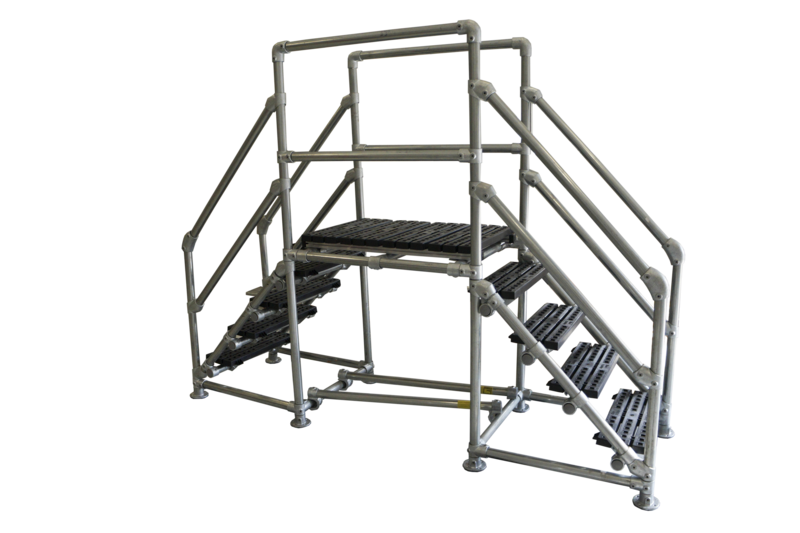 The best part of our lightweight aluminum component construction is there is no welding or custom fabrication required. 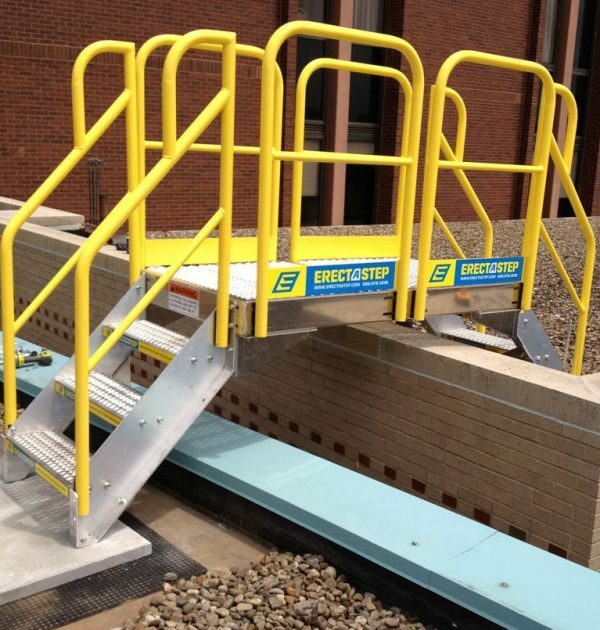 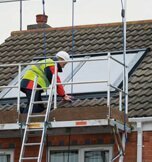 Crossover stairways are an economical way to bridge obstructions on roofs. 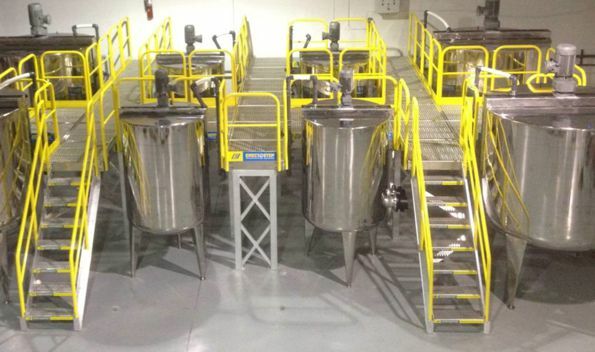 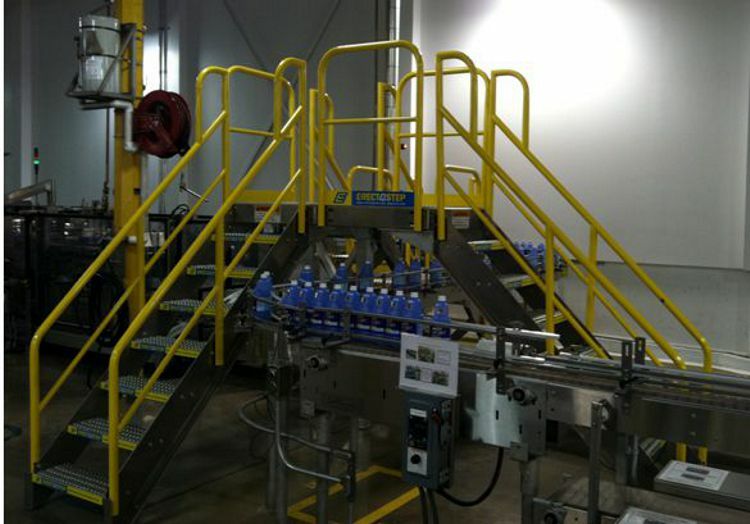 The product also meets needs inside and outside of manufacturing and processing plants. 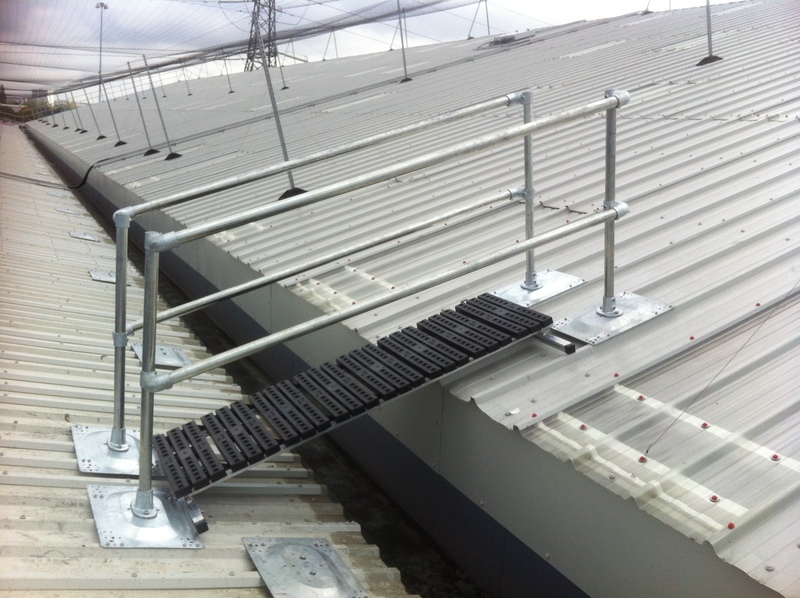 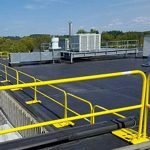 On the rooftop there are a host of application for this product including: transitions from one roof level to another, traversing roof mounted piping and conduit and accessing elevated platforms. 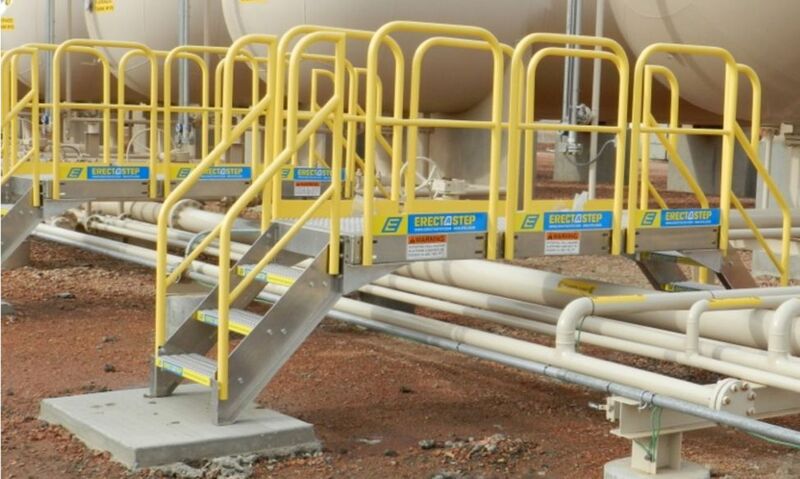 It also helps eliminate risky transitions around and over processing equipment, piping, ductwork and dangerous equipment. 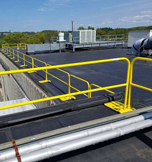 When used on a roof our systems are designed to be installed without penetrations and damage to the roofing membrane. 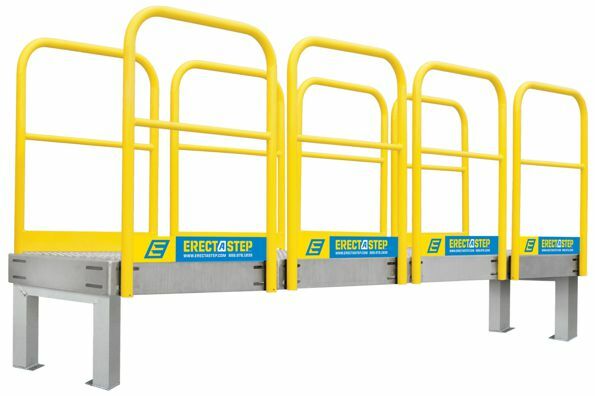 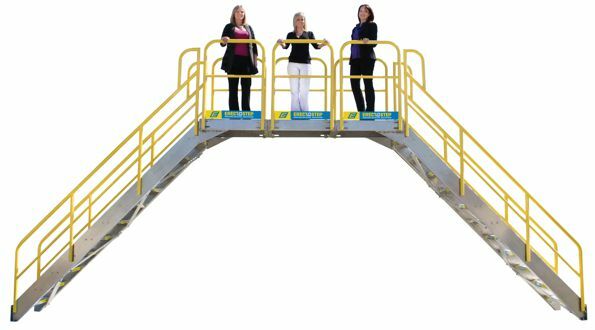 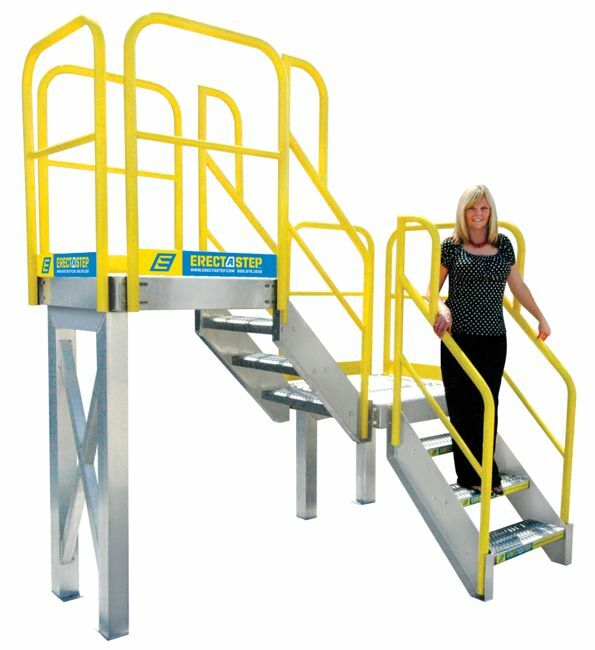 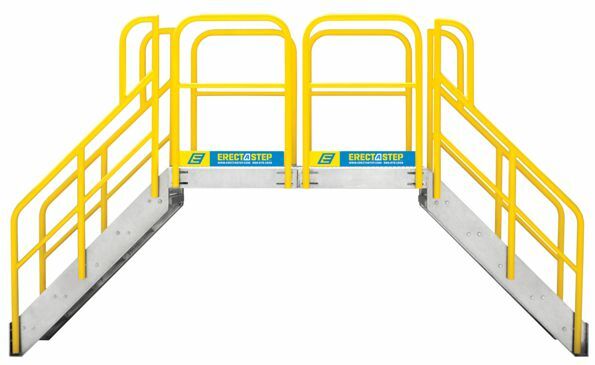 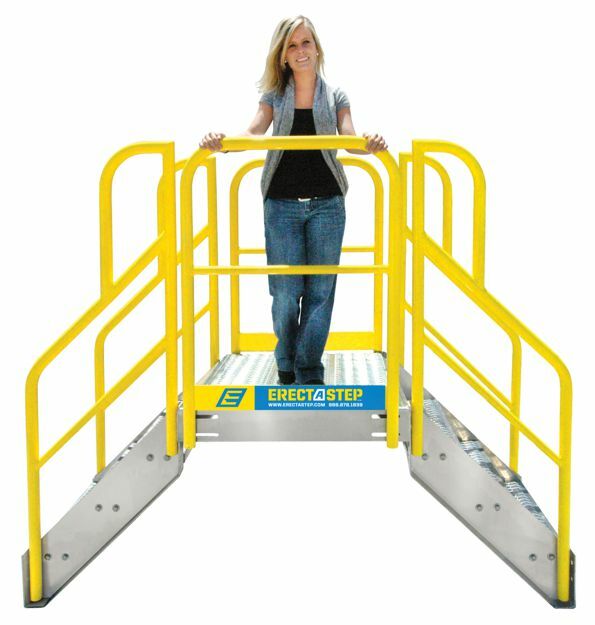 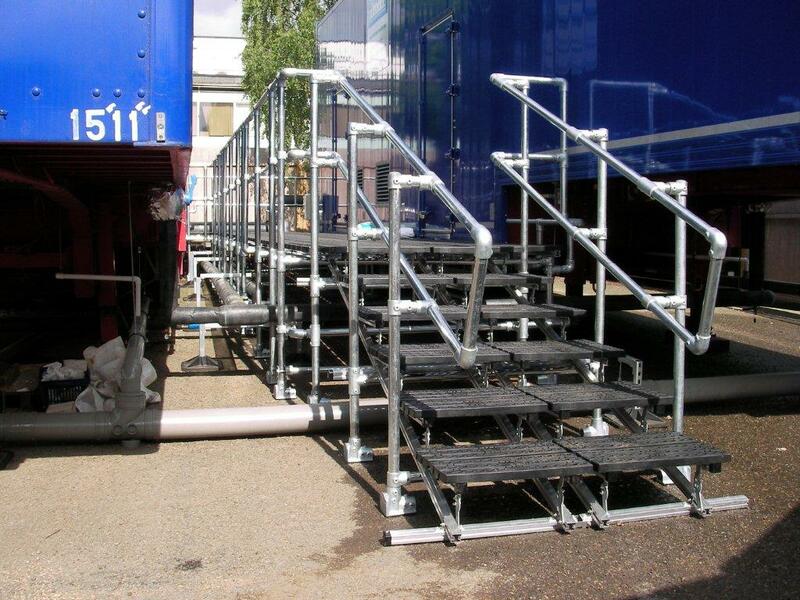 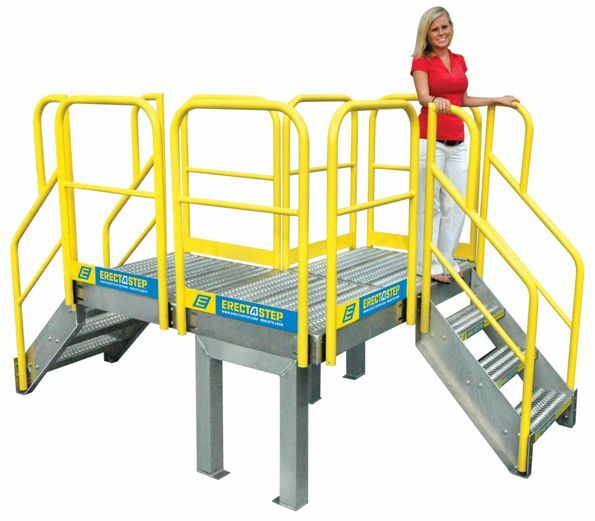 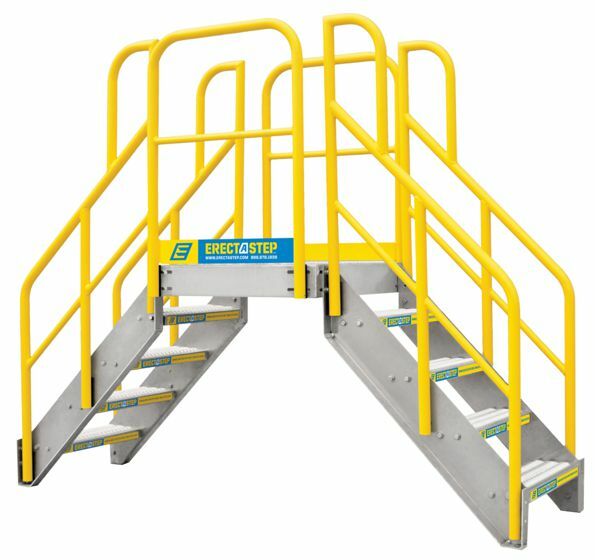 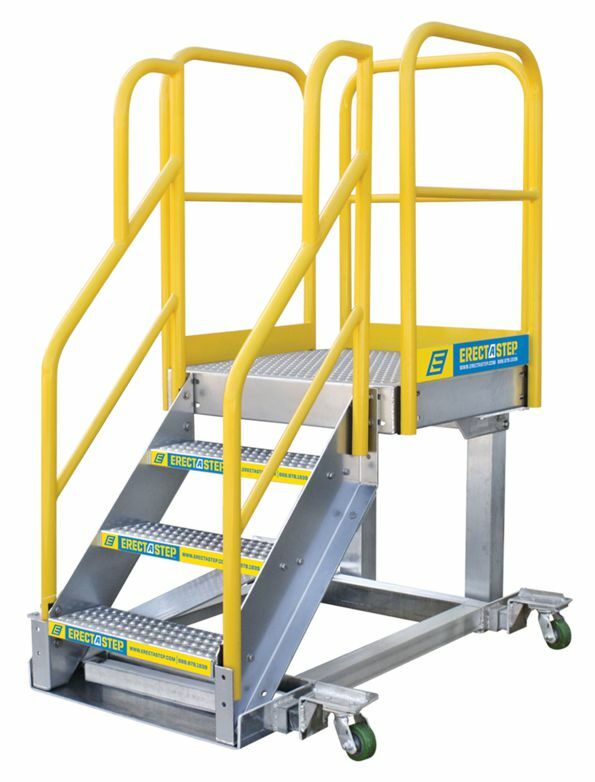 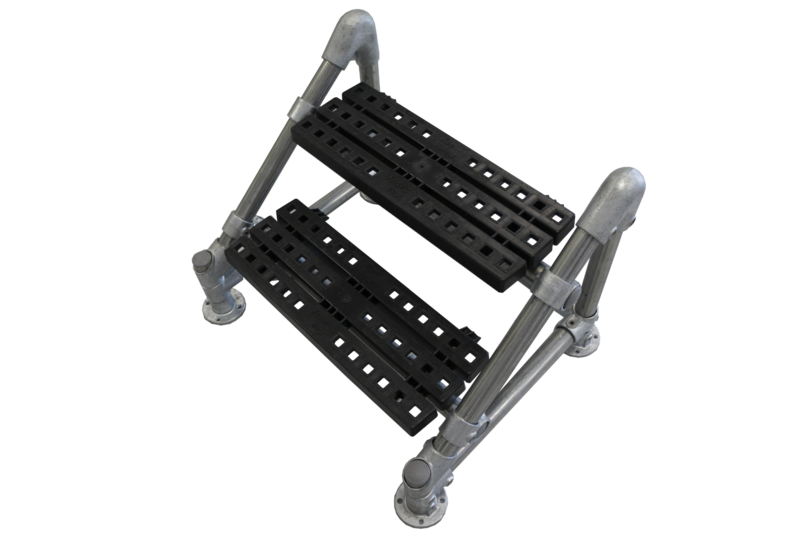 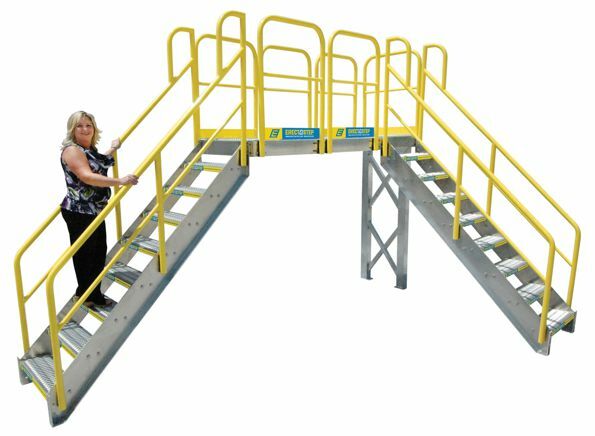 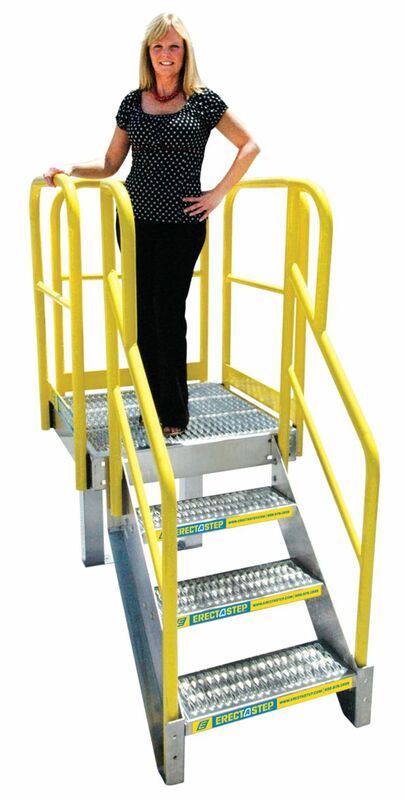 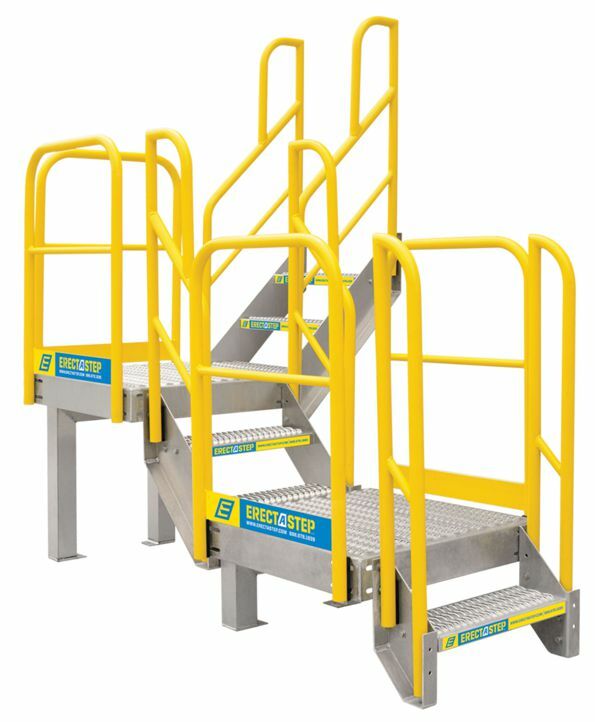 Crossovers and stairs can be permanently mounted or secured to rolling casters when portable applications are necessary. 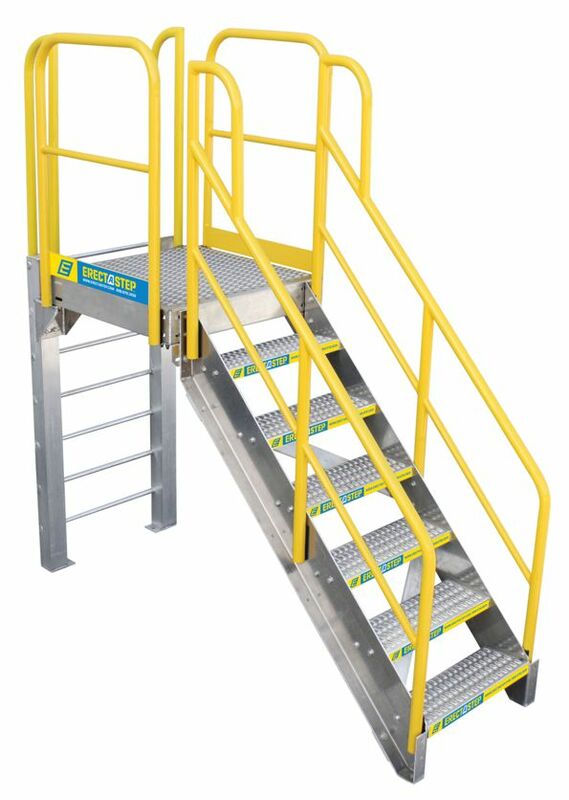 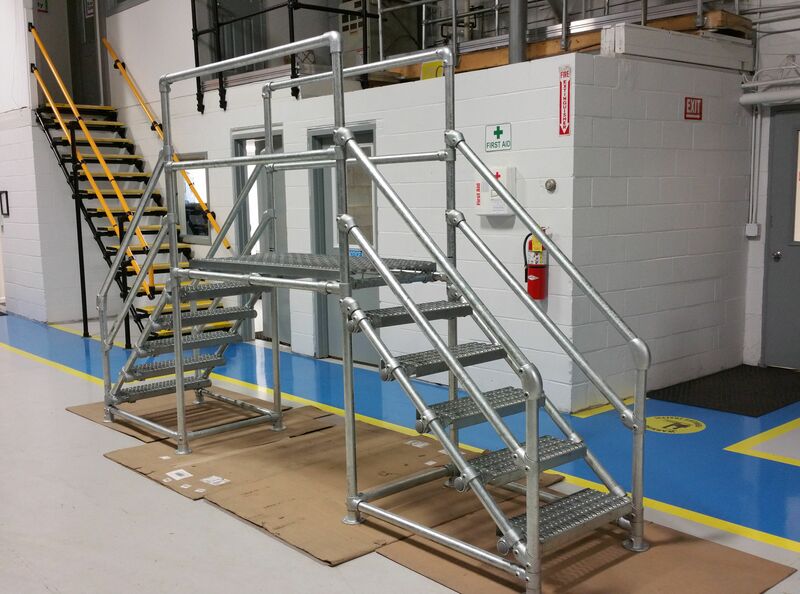 Our crossover stairways and platforms are manufactured from aluminum and powder coated steel. 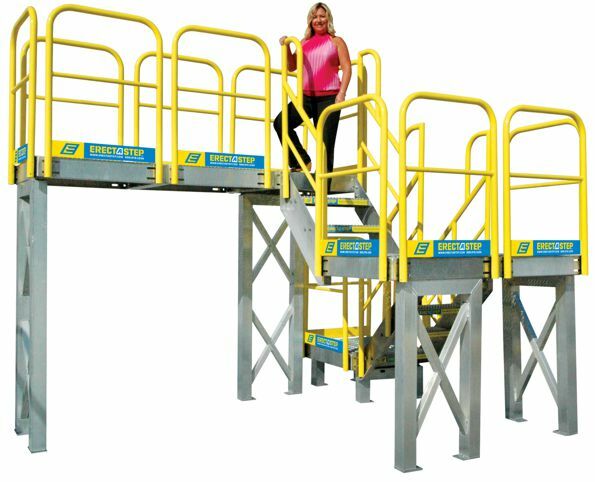 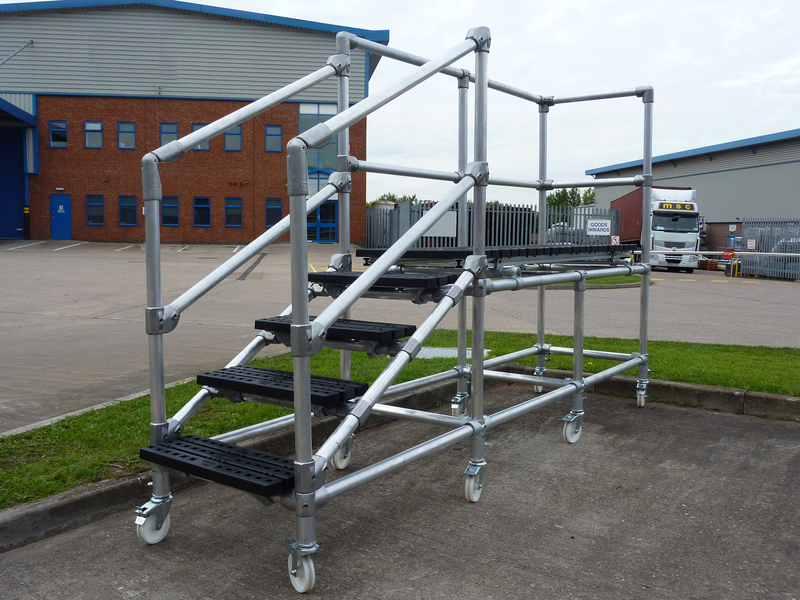 If the need arises, the modular design of these crossovers, stairways and platforms allows the owner to re-purpose them. 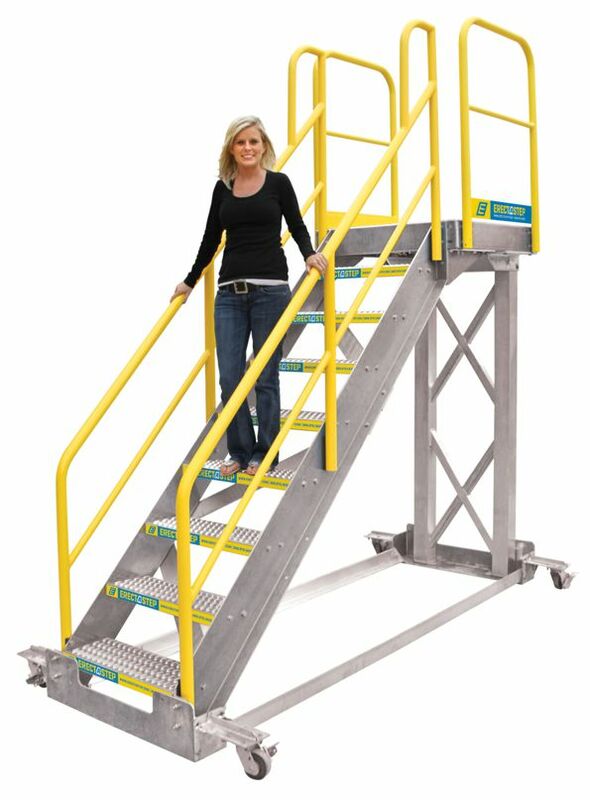 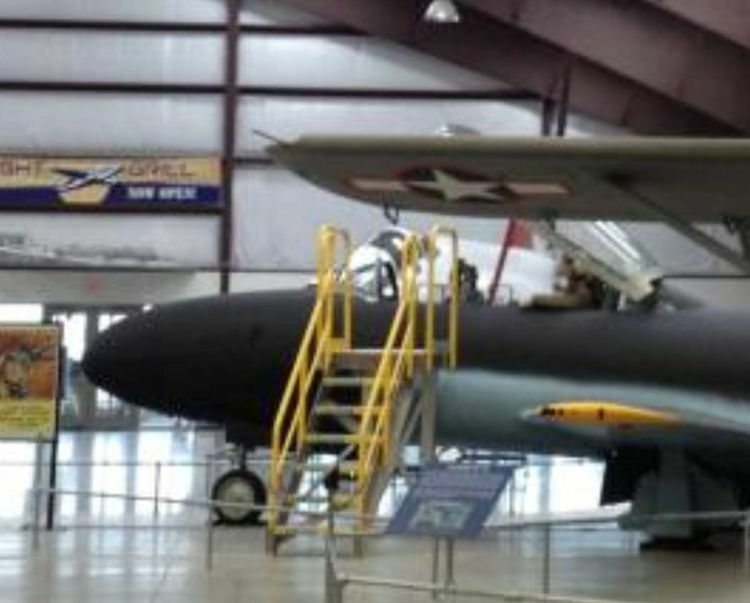 Unlike most custom built structures that are often scrapped when no longer needed. 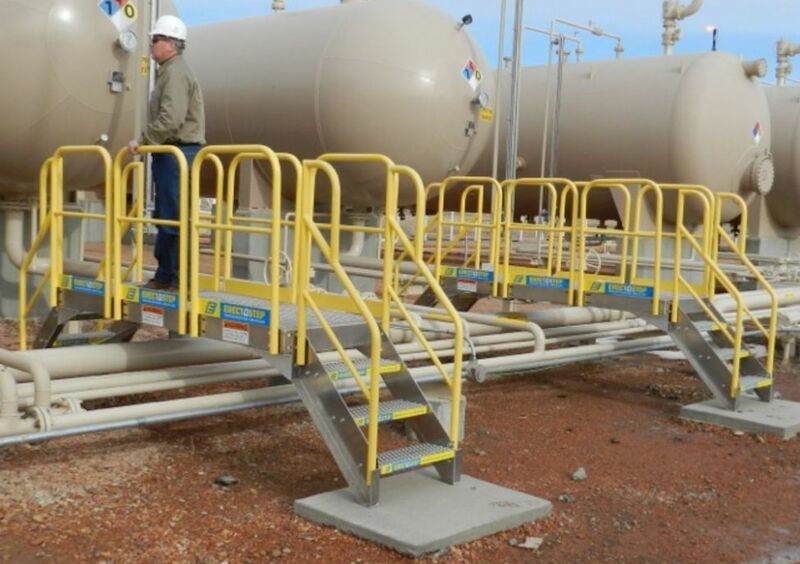 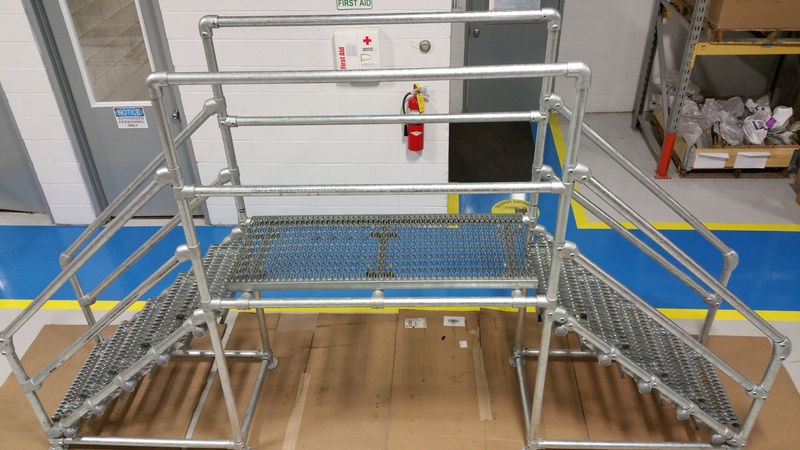 Provide us with your project’s dimensions and we will ship the stairways and platforms needed to help you improve the safety of your ongoing operations. 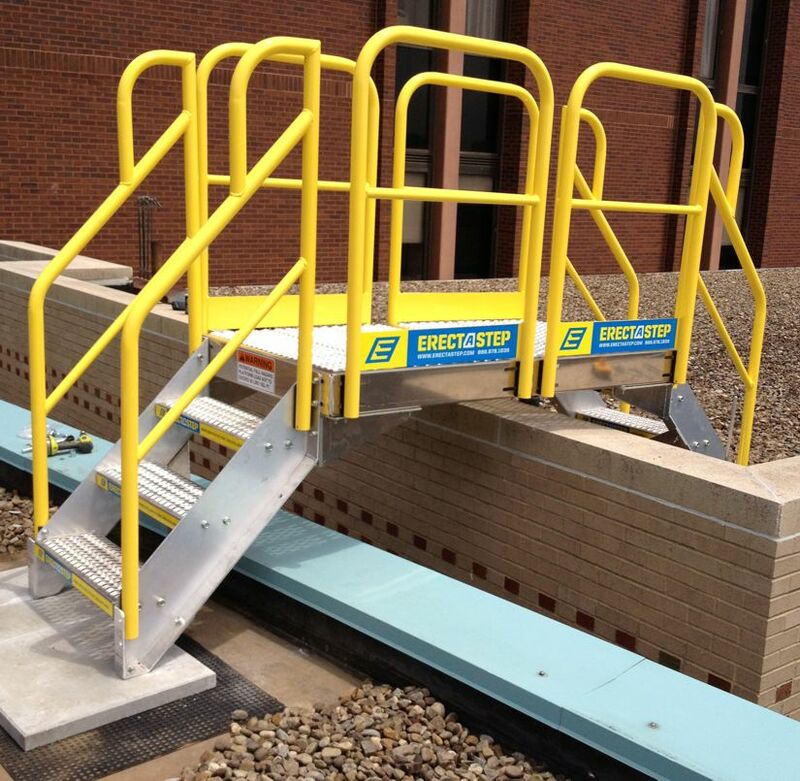 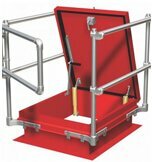 Our hatch railings are designed to comply with OSHA’s safety railing requirements.